Jack Milner: It’s a few weeks earlier than usual, but the Highveld autumn season kicks into gear with a bang at Turffontein on Saturday with the running of the R1-million Gauteng Guineas and the R750,000 Wilgerbosdrift Gauteng Fillies Guineas. The two Grade 2 races are the first local legs of the SA Triple Crown and the Wilgerbosdrift Triple Tiara. The Grade 1 SA Classic and Wilgerbosdrift SA Fillies Classic over 1800m and the SA Derby and Wilgerbosdrift SA Oaks over 2450m are the respective second and third legs. 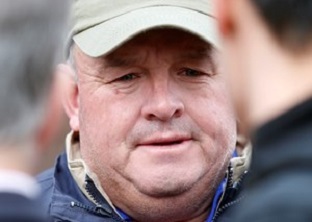 Trainer Mike de Kock is expected to dominate both of tomorrow’s races over 1600m but his strongest hand lies in the R1-million race where he saddles unbeaten Hawwaam and Barahin who are quoted at 16-10 and 28-10 respectively, with the balance of the field at 10-1 and upwards. The only reason both have been priced up as generously as that is because both have landed wide draws – No 11 for Hawwaam and No 15 for Barahin. Fortunately, both have top jockeys – Gavin Lerena on Hawwaam and Anton Marcus on Barahin. De Kock pointed out that, in his three starts, Hawwaam has not had a decent draw. In the Dingaans he was drawn No 13 and was dropped out to last but he came from more than 12 lengths back at the top of the straight to win easing up by 3.40 lengths. He clearly is special and will take a power of beating. Barahin has won three of his last four starts including a victory over Soqrat at Greyville on Durban July day. He has not raced since then but De Kock said the son of Gimmethegreenlight is outing in some excellent work at home. “We’ve done as much as we can, but he still might just need the run,” said De Kock. Those two should dominate the race but De Kock also has recently gelded Alyaasaat, quoted joint third-favourite at 10-1, as back up. He is drawn No 7 and has Bernard Fayd’Herbe up. The Fillies Guineas looks more competitive but Nafaayes, another De Kock runner, might have too much class for the opposition. She destroyed a field of older fillies and mares to win the Grade 2 Ipi Tombe Challenge on 1 December over this course and distance and also has the benefit of a good draw. The main dangers have to be Celtic Sea and Ronnie’s Candy who are closest to Nafaayes on merit ratings but the two runners who could upset the higher rated fillies are Storm Destiny from the De Kock yard, and Ormond Ferraris-trained Blossom. The latter is the daughter of Cherry On The Top who won the Triple Tiara in 2013 and she beat Ronnie’s Candy last time, but she is woefully drawn at No 18.